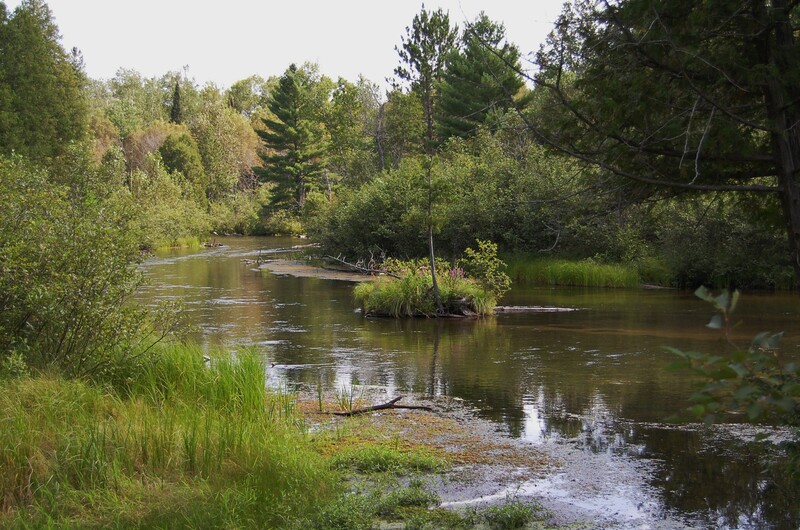 Known to offer some of the best fishing in the country, the AuSable River remains a popular destination throughout the year for nature enthusiasts and families alike. It’s one of the best places to relax and enjoy Northern Michigan’s fresh air, and most people find that when they visit they never want to leave. Fortunately, thanks to Ken Carlson, you don’t have to. Ken Carlson Realty offers a wide selection of homes from both ends of the financial spectrum to ensure that you can find the home of your dreams near the AuSable River. Check out the following premiere listings to see which home may be right for you! This massive 5-bedroom estate is a steal at only $799,000. With expert craftsmanship, this home offers private balconies for each bedroom, a large screened in porch, an enormous great room with it’s own natural stone fireplace, and more, all on 200 acres of maturely wooded recreational land. You won’t want to miss out on this one. Starting at only $399,900, this 6-bedroom home features more than 4,500 square feet of room for large families and groups to spread out in. 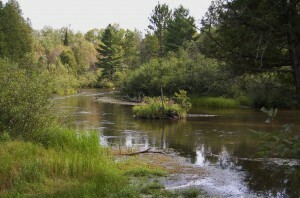 Situated on almost 30 acres, this home offers ideal access to the AuSable River, and is even rumored to have the best hatches and fish in the area. Starting at $389,000, this spacious home offers panoramic views of the river from the large living room. The master bedroom features skylights for natural light and the master bath offers a roomy tub for long soothing baths, but perhaps the most relaxing part of the home is the deck, which has an attached hot tub and sauna. Seated on a cozy 14 acres of waterfront, this home starts at an impressive $315,000. This 4-bedroom home offers 1,700 square feet of living space, wood floors, a stone fireplace, a full basement, guest cottage, and more, all at the end of its own private road for ultimate seclusion and relaxation. Starting off at a mere 279,900, this home offers a one of a kind chance to enjoy a balcony practically on top of the water. So close you could fish from your porch! With custom built-ins, woodwork throughout the house, and multiple stone fireplaces including a double-sided one in the kitchen/dining area, you won’t believe how much home you’re getting for a price that competitive. This home won’t be on the market for long so act fast!